A few weeks ago we delved into the different types of DSLR cameras available on the market. You feel a bit more confident, but you are still not sure which features to look for or how much to spend on a camera. It all depends on your purpose. Are you an amateur or a student? Are you interested in sports or news photography? Let's go over the features each type of photographer needs. Hobbyists: Not ready to make an expensive plunge? Do not spend more than $600 for the body and starter lens. Resolution can be anywhere from 6-15 megapixels with a frame rate of 2fps to 5fps and a burst depth of 5 to 6 shots. Also look for a compact body and a lightweight zoom lens. Students: Students who are seriously considering photography as a career should spend less than $1,000 on a body and starter lens. 12-18 megapixels offers great resolution. The frame rate should be 5fps to 8fps or faster with a burst depth of 10 shots or more. AF speed and tracking should be the best you can afford and video should be 24 or 30fps. The DSLR should have a comprehensive viewfinder, good raw-conversion software, and comprehensive flash-control features. News/sports/action: Whether your pictures are printed in magazines, newspaper, or on the Internet, a DSLR for you is a serious investment. Expect to pay $1,000 and up for the body. Resolution needs to be 10 megapixels or more while the body all metal and weather-resistant. The frame rate should be 8fps to 10fps and a burst depth of 40 shots or more. Video should also be 30fps or faster. Purchase an extensive telephoto lens and look for simultaneous raw-plus-JPEG capture, flexible white-balance, and good battery life. Check back next week when we dive into other types of photography and the best features to have. 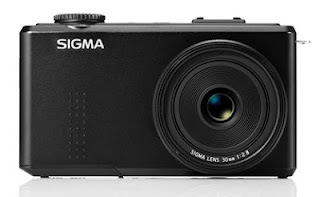 Photographers in the market for a high-end point-and-shoot with all the latest advancements, need look no farther than the Sigma DP2 Merrill digital camera. Foveon devotees will flock to this camera which boasts 46 megapixels thanks to a Foveon X3 Direct Image Sensor. For those who are unaware, the Foveon X3 Sensor features three layers of pixels, each made up of slightly more than 15 megapixels and each layer sensitive to a different color --hence why Sigma can say it is a 46-megapixel camera. The result is vibrant and detailed photographs. Readers might recognize the technology from the SD1, a DSLR. 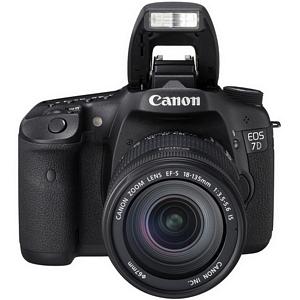 However, this digital camera features a high-performance fixed lens, a 32mm F2.8 lens to be more precise. Unlike a DSLR, this camera is lightweight and compact, making it easy to tote around on your photography adventures. 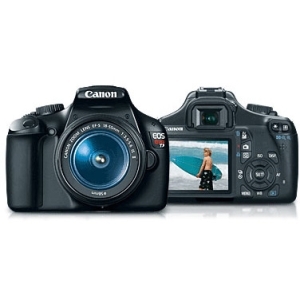 It also has the ability to shoot in both RAW and JPEG, simultaneously too, giving photographers greater flexibility. Manual focus is available for use and there is even a focus ring just like on an SLR –a feature you do not often find on a compact camera. Also like a DSLR, the DP2 has a 3.0'' TFT LCD to quickly change menu options. The DP2 Merrill is ideal not just for serious hobbyists and amateurs, but professionals who may not be able to tote a large camera and equipment.